It’s under the most challenging circumstances that you find the true value of what you drive. 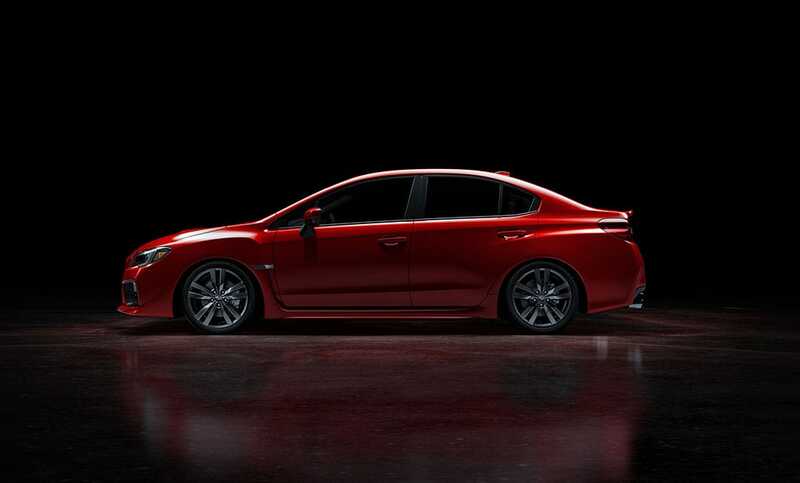 With more safety features available than ever before, the WRX and WRX STI are engineered to be at their best in a worst-case scenario. You’ll have the tools to stay aware of your surroundings, in control for accident avoidance, and protected if an accident can’t be avoided. 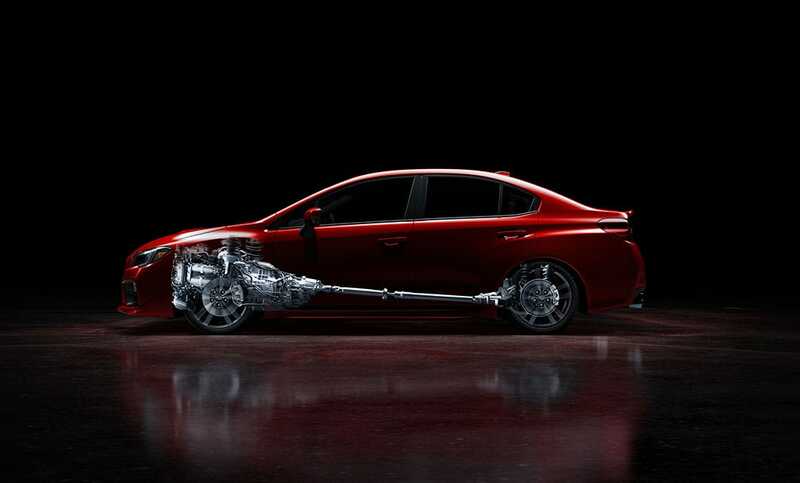 WRX Limited in Pure Red with optional equipment. 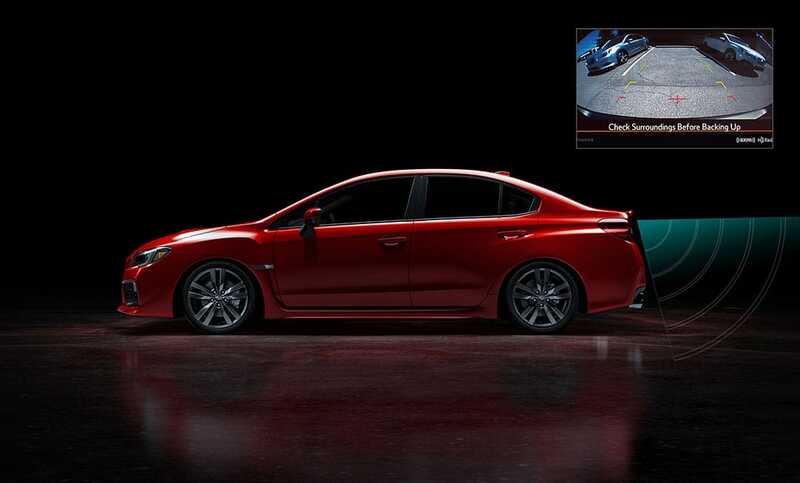 The most important accident-avoidance feature is the driver, and that’s why Subaru engineers went to such great lengths to make sure the WRX and WRX STI have exceptional forward visibility. In reverse, it’s no different—the standard Rear-Vision Camera gives you a clearer view of the area behind your vehicle when backing up, so you can be in charge of your surroundings. 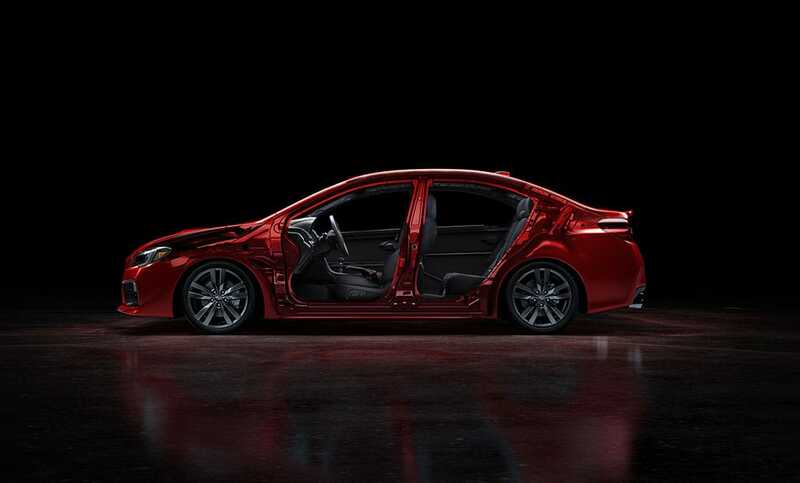 The new Rear Cross-Traffic Alert system uses radar sensors to help warn you of traffic approaching from the side as you are backing up, utilizing an audible warning and flashing visual indicators in your side mirrors and Rear-Vision Camera display14. 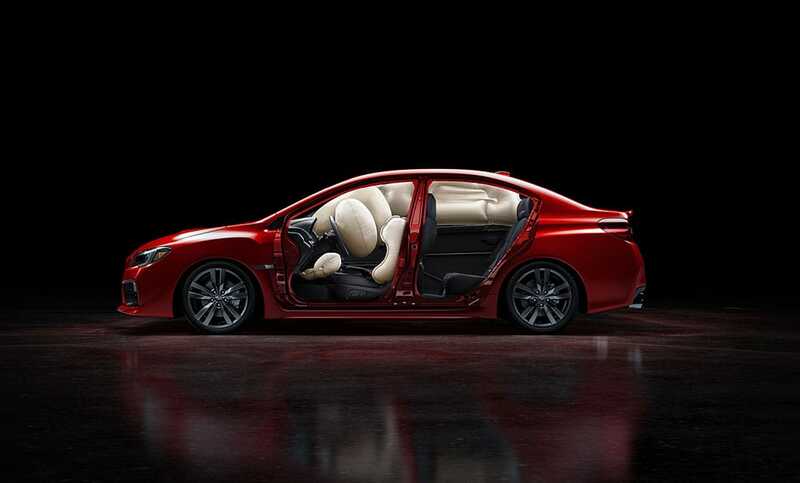 The WRX and WRX STI feature a driver’s side knee airbag, bringing the total to seven standard airbags for additional protection in the event of a crash15. Our Ring-shaped Reinforcement Frame is exceptionally strong for maximum resistance to impact energy, while its unique configuration helps divert that energy away from occupants. 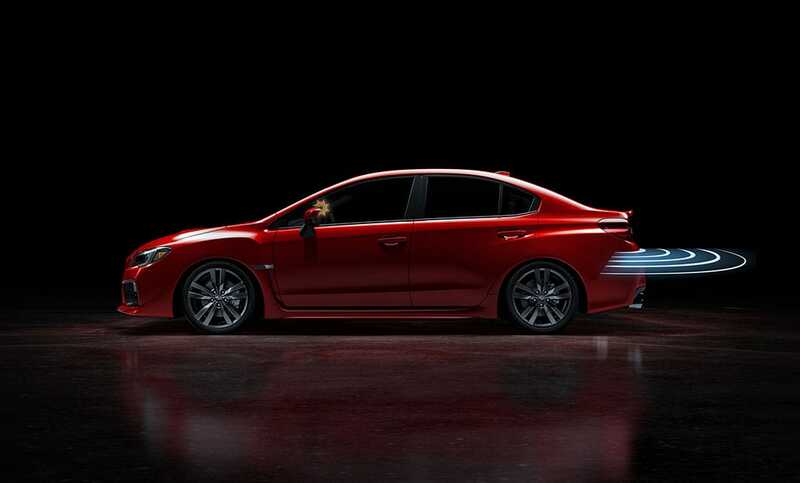 Also, front, front-side and side-curtain airbags15—standard on every WRX and WRX STI—surround outboard occupants in the event of a crash to further help prevent injury. Safety begins with avoidance. The traction and balance of the Subaru Symmetrical All-Wheel Drive and the stability of the SUBARU BOXER® engine provide you with the outstanding control you need to react to hazards. 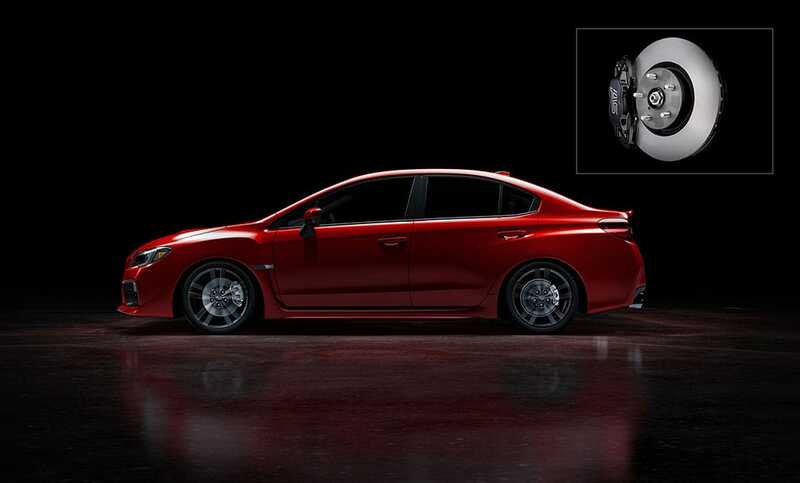 Every WRX and WRX STI also comes with standard VDC electronic stability control, which can detect a loss of control and intervene to help keep you on your intended path.